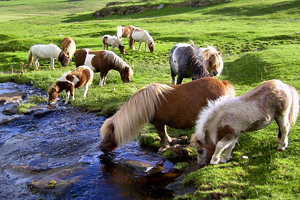 We are in a position to offer exclusive Shetland tours to our guests. We do small group tours, and they can be tailored as far as possible to people’s interests and fitness. 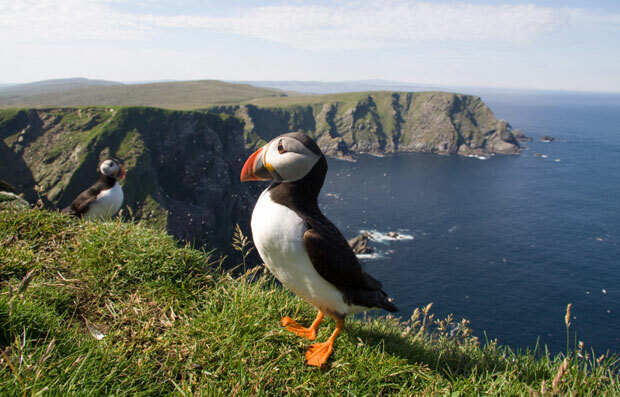 Shetland has some fantastic coastal scenery, some fascinating archaeological sites and unusual geological formations, as well as amazing wildlife. The South Mainland. Here we would visit Jarlshof, a site that was uncovered from the snad by a huge storm over a hundred years ago. It ranges from Stone Age houses, through an Iron Age Broch and Wheelhouses onto a Viking Farm and finally the Earl’s Hall (Jarlshof) itself. 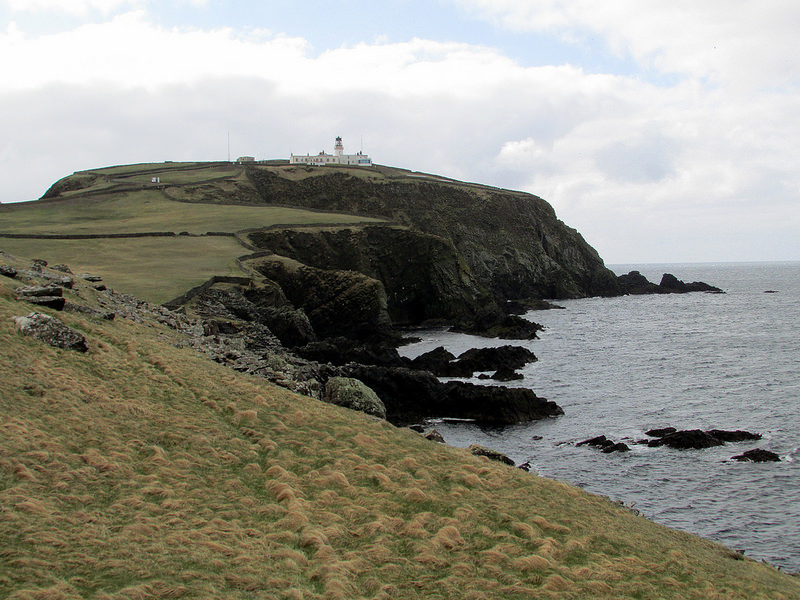 We would also go to the lighthouse at Sumburgh to see the cliffs, the ponies and the seabirds. Then there are some fantastic beaches, especially the double beach linking St Ninian’s Isle with the main island. Time permitting, we can visit the Crofthouse Museum as well and see how Anona’s great grandparents probably lived. The North West Mainland. Here we would aim for the Esha Ness lighthouse. The coastal scenery is just epic (sorry to use a term I have picked up from tv adverts, but one that is justified here), and the cliffs at the lighthouse are the remains of an extinct volcano. We would see ponies and lots of bird life. There is a ruined Victorian fishing station to explore and lots more. There is also the Nation’s best Fish and Chip Shop. Either of these tours could be a half day or a whole day out. The Northern Isles - Yell and Unst. This would be a (long) full day out, including two ferry journeys each way, but there is a lot to see – strange green rocks, Viking remains, unique wild flowers, the UK’s most Northerly beach/post office/pub/castle etc etc, and the best bus stop in Britain. Ponies and Birds of course. Hermaness Nature Reserve and Britain’s most Northerly point. If you are interested, we should chat by email and Jeff can put something together. To give you an idea on pricing, a half day tour for two people is £140 (this includes incidentals – admission fees, ferry fares, but not lunch) and a full day tour for two people is £220, this includes incidentals and lunch. We both look forward to seeing you at Rockvilla (whether or not you decide to take a tour). The birdlife in Shetland is a big draw. You don't have to be a twitcher to enjoy Puffins and all the other seabirds. Please note that Puffins are here from the end of April to the beginning of August only. However, Gannets and many other seabirds can be seen all year round. Seals and Ponies can be seen pretty much at any time. Otters are a lot harder to see, although Jeff sees about one a month on his daily walks with Piper (our Sheltie). Whales, dolphins and porpoises are much rarer treats. The cliffs, islands and stacks to the West and North are the remnants of volcanic activity, with exciting names for some of the features like 'Da Drongs' and 'Dore Holm'. In contrast the cliffs of the seabird city at Noss are a mass of sandstone shelves, almost as if they are designed for nest sites. Parts of Unst and Fetlar are ancient ocean floor, somehow thrust up on land, hence the strange green and blue rocks there. 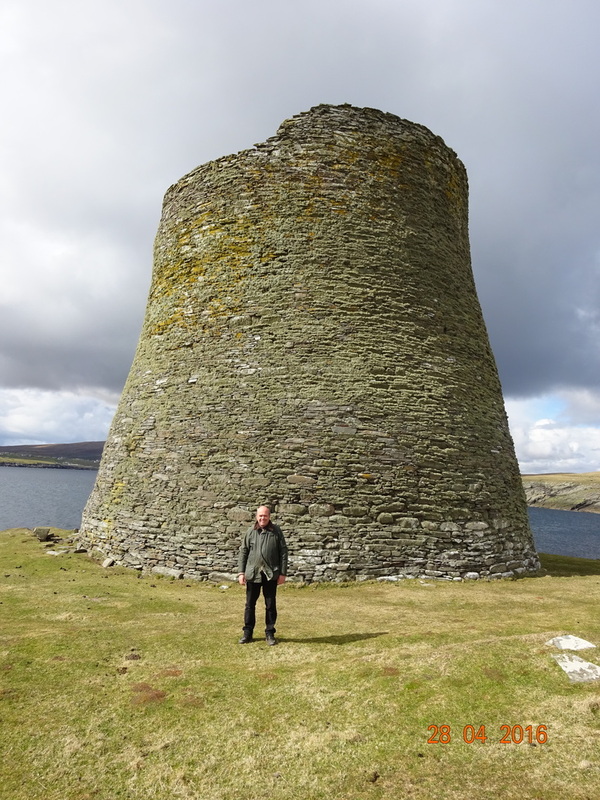 Shetland can boast archaeological sites from the Stone Age, the Iron Age (the Picts), the Viking Age, the age of the Scots Earls and the first and second World Wars. Lerwick may only be about 450 years old, but there are a lot of interesting buildings and people to see and/or talk about. 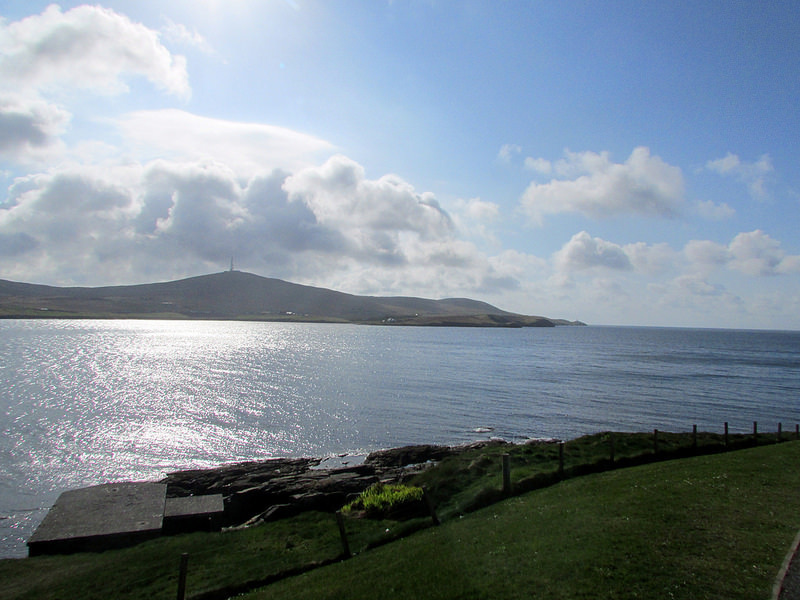 Shetland's stunning coastal scenery is impressive, some of the highest cliffs in Britain, seacaves, arches and stacks. Where the coast is penetrated by Voes (flooded valleys, like Fjords) the scenery changes to something a little more sedate, but beautiful in its own way. There are beautiful sandy beaches to explore, with crystal clear water, and usually hardly any people.